Function over looks they have missed the boat...its 2018/19 now...nobody likes that. My GWE in the For Sale section! I think it looks pretty kick azz. Just think about sitting at a stop light and that thing pulls up behind you. Some folks might poop a little bit ie Ford, Chevy well anyone really. Awesome job Dodge!!! 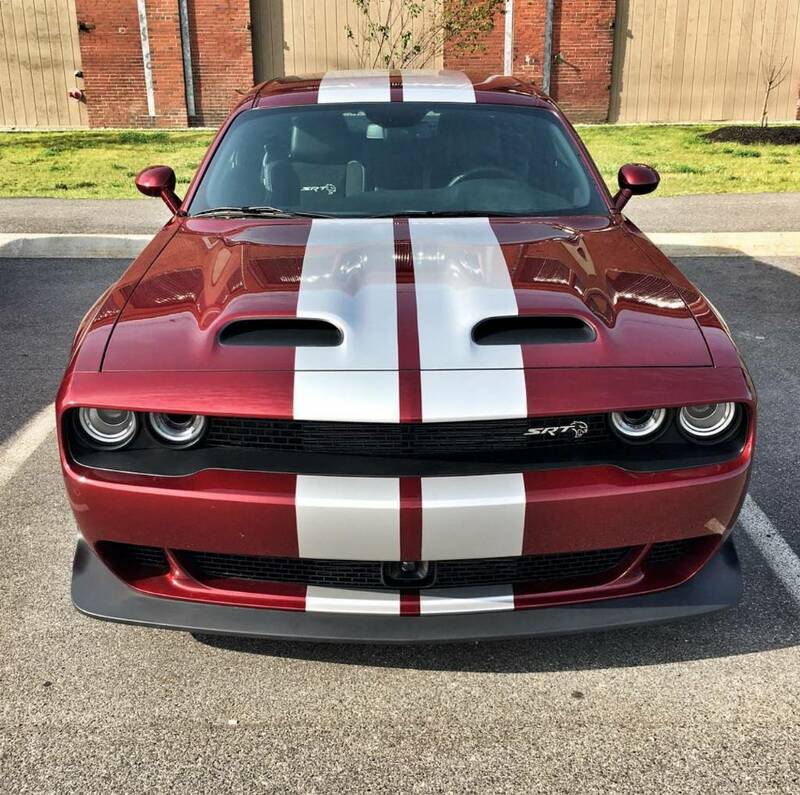 The Challenger hood is too stubby to look good with the placement of those new scoops. I get now why they did it but maybe they can come up with something more interesting in the future. Meanwhile the original Hellcat hood literally was a work of art. I even feel the new rear spoiler and fender flares are somewhat in the vein of "70s J.C. Whitney" style. The first 2015 HC is still overall the cleanest and purest design. Last edited by Charger440rt; 07-07-2018 at 04:58 PM. I like the new Hellcat hood. The old one was great, but it was based on the Viper hood, and also could be confused for an SRT392 hood from some angles, because the extractor vents could be hard to see. 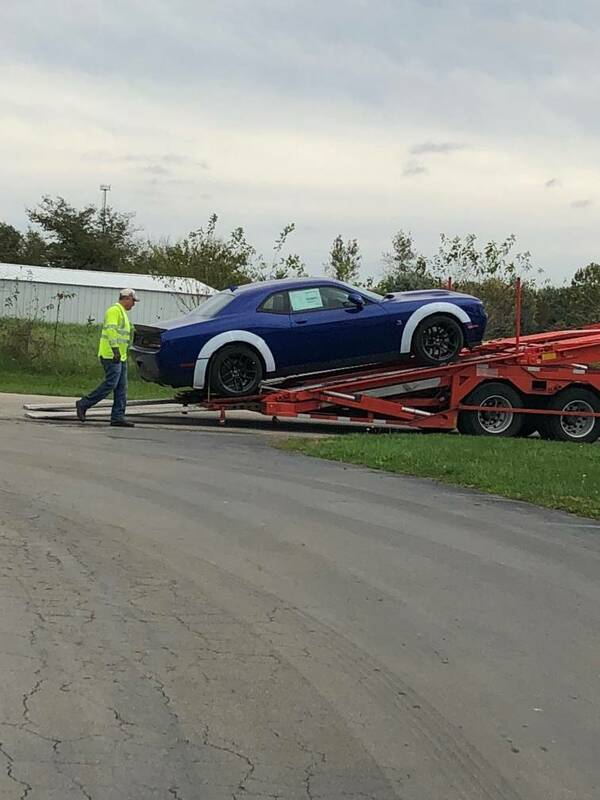 At least it's instantly recognizable as a Hellcat hood now, as well as adding more horsepower. 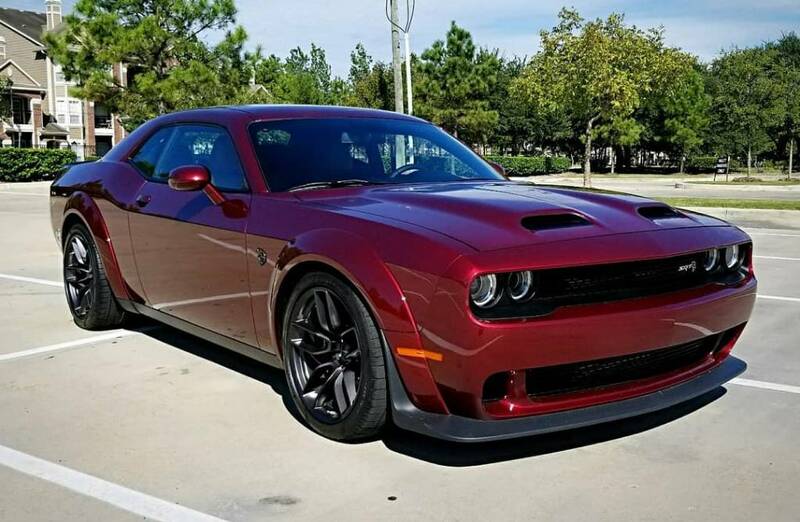 The old hood now becomes a HellScat hood, which I think is too bad (I also don't like downgrading the Hellcat front fascia to the Faux Cat, it cheapens the Hellcat brand). I really like the old hood. New pic, don't know don't know if these stripes will be an option or not or if they're just a one-off custom. The Raisin Bran hood is the best one yet. Power-Bulge has been misappropriated by RAM, kind of ruined it for base Challengers when Sports and REBELS have the same scoops. The original T/A was a little clunky looking. Shaker is legendary, but too small. Demon is just a hideous tumor. This dual snorkel look is a grand-slam. Maybe the 717hp version will do!